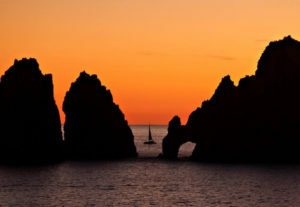 One of the things I love most about fall is my annual trip to Cabo San Lucas. It is a time to rest, recharge and have a little adventure. Cabo never disappoints and this year was no exception. This year, we had 12 other people go to Cabo with us! The more the merrier- and we had a big secret too- the three brothers that were traveling had no idea their only sister would show up and surprise them. Boy that as a hard one to keep under wraps for so long- thanks to Bev I had someone to talk to about it for the months leading up to it. Our reason for going to Cabo every fall is the annual Sammy Hagar’s Birthday Bash centered around Oct. 13 which is Sammy’s Birthday. We register for the ticket lottery and hope to get tickets to the concert in the Cabo Wabo Cantina. Only 4 of the 14 were lucky enough to win/buy tickets in the lottery. But I won an even bigger prize. I got into the concert on Oct. 11 in the Standby line- for FREE! Gotta love the Cantina and its small intimate atmosphere- just Sammy and 400 of the biggest fans on each night of his concert. This year they were on Oct 7, 9 11 and 13. Another reason I love Cabo is because we often go out on some sort of excursion to get out and experience the city and surrounding area. This year we took two. One four wheeling adventure- that took us on one of the best 4 wheeler trails I have ever been on in Mexico- some challenging terrain especially for the few first timers we had with us. We came out of that day with two people injured- but all are doing fine and did not need to get any medical attention in Mexico. The other excursion we went on was a Luxury Day Sailing, Snorkel, Paddle boarding trip- Fantastic for our group of 14 plus 2 others who also happened to be from St. Louis. This sailboat and its crew were fantastic. We started at 9 am being picked up at our hotel. Arrived at the marina- checked in and boarded the sailboat. We sailed down the coast of the Baja California Peninsula to a small cove – snorkeled, tried to learn to paddle board- up to my knees was all I was willing to try- but I did it! Others got up like it was nothing- I totally need to work on my core for next time! Back on board the boat we had a gourmet lunch and went off to catch some wind. With a little coaxing from the Paparazzi onboard and the non-swimmers in the back of the boat – we found and caught some wind. The captain opened up both sails and we were off to the races- with on jig to the left- we actually had the boat up on its side- pretty cool and really fast- no one lost it. What a great ride! Will definitely do the sailing thing again especially if we have a large group on the trip- fun was had by all. The pictures were great too. Back at the hotel, we cleaned up from the day and some headed back into town- The Cabo Wabo Cantina is a great place to sit with friends and listen to great music- the house band is phenomenal. Then we usually head around the block to Slim’s the world’s smallest bar to see our favorite Cabo bartender- Rosie – and check on the location of the dollar bill we placed before hurricane Odie – yep it is still there!!! Slims’ only has Beer in a bottle and tequila- so if you don’t drink those it is a place to see for sure – most people stop for one then move on- we like to hang out and watch the world go by. The marina has lots of great restaurants to pick from – the fresh catch of the day is really the fresh catch of the day. And if you went deep sea fishing- most of the marina restaurants will prepare your fish the way you want it! If you are a foodie- then Cabo should be on your list. 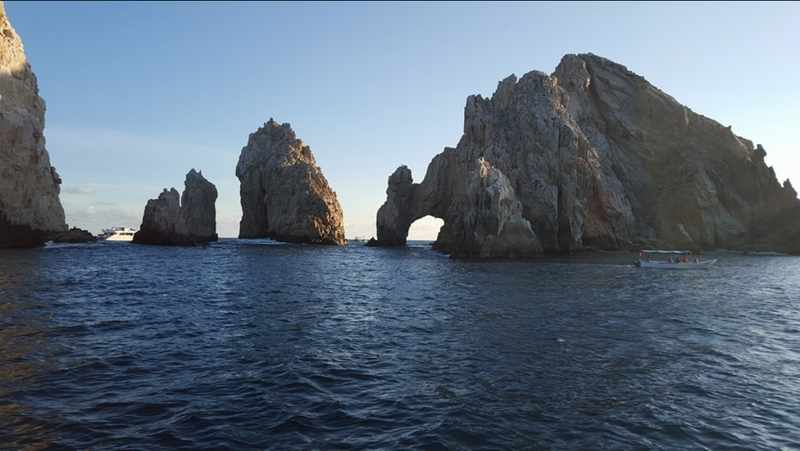 So much to do and see- we are already planning next year’s trip- we want to try the new hotel opening this December in the Marina and on Medano Beach- the only beach that is truly swimmable in Cabo- close to all the fun and funky bars and walkable to town….Cabo is truly #unstoppable!